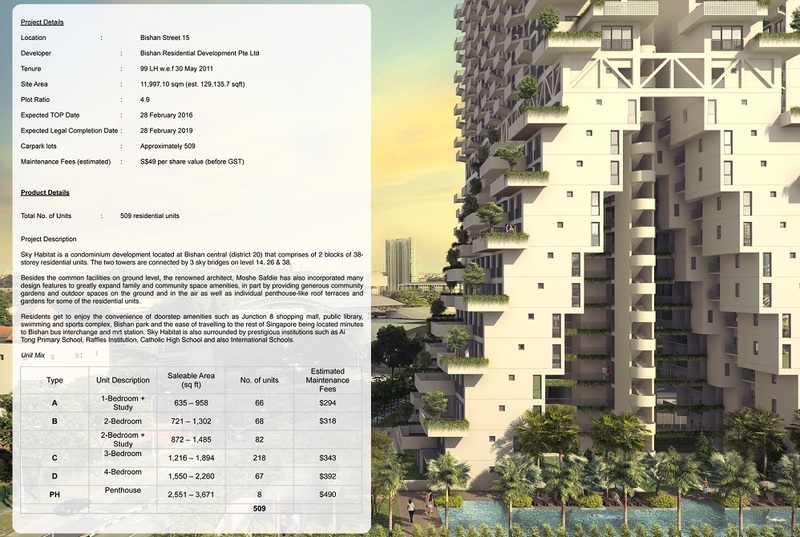 Sky Habitat – An exciting new condominium by Capitaland which is strategically located in the heart of Bishan. It is located within a short walking distance to Bishan MRT, Junction 8 Shopping Mall and Bishan Bus interchange. It is also well connected to several international schools as well as good schools in Singapore such as: Raffles Institute, Australian International School, etc..
Sky Habitat is very well connected to other parts of Singapore. It is only a few MRT stations away to places such as Orchard, Raffles Place and also easily accessible to all major expressways like CTE, PIE within a short drive away. 70% of the Sky Habitat site area are being developed into a series of lush gardens, outdoor events rooms, swimming pools and walk paths. The development itself offers opportunities for commonly shared garden and leisure spaces. Breathtaking views of lush greenery of Bishan Park are for all residents to enjoy.